Deaf Unity is pleased to have individuals, organisations and corporate sponsors who share our commitment to supporting deaf students, graduates and professionals throughout the UK and abroad. 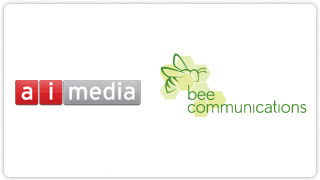 Sponsors of our exciting, innovative projects, conferences and events are truly valued. We are proud to share information about out current sponsors below and thank them for their continued support. St George Healthcare Group provide care and rehabilitation for people with a Brain Injury, Autistic Spectrum Conditions, Deafness and Mental Health issues, in addition to a wide range of neurological conditions. We are committed to providing the highest possible quality of patient centred care that respects the rights for dignity, privacy and individuality. All Saints Hospital is a state of the art purpose built facility specifically commissioned to meet the needs of Deaf people and individuals with complex communication difficulties. The services offers rehabilitation in Secure and Open rehabilitation environments within a comprehensive care pathway including individual hospital flats with support to achieve independence. Reed Smith is a global relationship law firm with more than 1,800 lawyers in 25 offices throughout the United States, Europe, Asia and the Middle East. Founded in 1877, the firm represents leading international businesses, from Fortune 100 corporations to mid-market and emerging enterprises. Its lawyers provide litigation and other dispute resolution services in multi-jurisdictional and high-stake matters, deliver regulatory counsel, and execute the full range of strategic domestic and cross-border transactions. Reed Smith is a preeminent advisor to industries including financial services, life sciences, health care, advertising, technology and media, shipping, energy trade and commodities, real estate, manufacturing, and education. For more information, visit reedsmith.com. Microlink is Europe’s largest multi-award winning supplier of Assistive Technology and workplace adjustment solutions. For over 20 years we have been pioneers of the industry, with our leading services supporting businesses and individuals in education and work environments. Our pioneering work has been recognised through awards including, the Business Disability Forum’s best SME 2012, Disability Champion 2012 and the Disability Standard award 2012, where we were valued amongst FTSE 100 organisations. We were also awarded first place in the Springboard Consulting Groups Disability Matters Europe Award. Our bespoke solutions have supported over 200,000 individuals in higher education and in the workplace achieve their true potential. We continue to provide our multi-award winning end-to-end workplace adjustment solution to a growing number of the largest Public and Private sector employers in the world, allowing them to become confident in supporting their existing and future employees who work with disabilities. Our workplace adjustment solution delivers quantifiable results, whilst reinforcing compliance with the Equality Act 2010. It has allowed our clients to create measurable, cost effective and inclusive work environments, by empowering their employees working with disabilities to access their true potential. This has significantly reduced absenteeism and increased productivity. Access to Work is a programme, delivered by the Department for Work and Pensions, which provides practical and financial support to disabled people and those with a physical or mental health condition to help them with starting or keeping a job. Changes to Government funding meant that at a time when they were most needed, many specialist employment services for Deaf people were terminating delivery. Clarion recognised the importance of developing a service that would meet the support requirements of Deaf people whilst being financially viable within the new funding remit. Clarion’s innovative and unique Communication Employment Consultant (CEC) Model was implemented and rolled out across the Work Programme and Work Choice. The model has been highly successful , winning Supply Chain Partner of the Year at the 2013 Employment Related Services Association (ERSA), Employability Awards. The CEC Model is a hybrid model of qualified communication support professionals who have employment background and knowledge. As well as providing communication support, our CECs add value by working in partnership with the Employment Advisor and the Deaf person to deliver the full menu of job-seeking activities. The model is based on the industry standard of a three hour minimum call out fee. Our CEC’s can work with up to three customers in this time, realising further cost benefits. Once the meeting with the Advisor has finished, our CEC will continue to work with the Deaf customer(s) to support them to complete their action plan, bringing them closer to employment. Additionally, before the job starts we support customers to apply for and set up Access to Work grants. Once the job starts we can support with any ‘in work’ issues should they arise. Chichester College is a large further education college based in West Sussex. We are a lively and dynamic college offering a wide range of courses from A Levels to Apprenticeships, vocational courses to higher education and much more. For the last three years we have had the best overall success rates in Sussex and we pride ourselves on high quality teaching combined with an inclusive, fun, student centred approach to learning and life at college. In our last student survey 99% of our students said they found teaching and learning to be good or outstanding and that they felt they had made the right choice of course and college. We ensure our students are work ready by embedding enterprise and employability skills, English and maths throughout all of our full time courses. We also offer specialist additional support for learners with a range of support needs and have two halls of residence offering accommodation to learners living too far to travel. Our Chichester Campus is close to the city centre and easily accessible by train and bus, as well as having some car parking facilities; our Brinsbury campus is situated in the beautiful South Downs countryside and has complimentary transport to and from the railway station in Pulborough, car parking and buses stop just outside the campus. Further information is available from www.chichester.ac.uk or calling 01243 786321. Our College specialises in meeting the needs of students who are deaf, hearing impaired and those with communication difficulties including Autism and Aspergers. Our individualised learning programmes also offer a unique approach to students who have specific language and communication difficulties. Our holistic approach seeks to recognise your needs, wants and aspirations by creating opportunities to develop your talents to the full in a highly supportive, total communication environment. Our vocational pathways provide a distinctive, industry-focused learning environment for students who aim to enter employment and or further education whilst our Life Skills and Personal and Social development pathways are created to maximise your individual potential. In recent years our performance and reputation as a National Specialist Provider has strengthened. This has been reflected in our ‘OUTSTANDING’ Social Care Ofsted inspection in 2012 and is largely due to the dedication and commitment of our staff teams. We set high standards for our students making the experience as enjoyable and fulfilling as possible. We pride ourselves in our communication strategies taking a holistic approach using the latest technology, in a highly skilled and knowledgeable environment. Our learning community has a rich cultural diversity where you will receive a warm welcome and enjoy a friendly, safe learning environment. We provide outstanding enrichment opportunities for our students, both on the College sites and in the local and extended community. RAD works with Deaf people, mainly those who are profoundly deaf from birth or a young age, who communicate in British Sign Language (BSL). Our services are:- Advice, Advocacy, Children & Families, Community Development, Employment Skills & Transitions, Interpreting & Social Care. Adult sign language users at 0.3% of the population rising to 0.5% in London (GP Survey), however, Deaf people are over-represented among isolated, vulnerable and hard-to-reach groups, and 4 times more likely to be unemployed. They lack access to information, advice and opportunities to gain skills. Literacy can be low – average reading age for Deaf school-leavers is 8-9 years. RAD has pioneered effective ways of working with Deaf people and providing accessible services. We are a Deaf-led organisation; most of our Trustees are Deaf and all frontline staff have fluent BSL, many also being Deaf with experience of the barriers clients face. This shapes our organisational culture and how we deliver services.